We provide you expertise and workmanship as it pertains to projects at your home or commercial location, as well as, auto glass replacement in our shop. Whether your job requires work to be done at our “house” or yours, we can service all of your glass needs. We take great pride in our workmanship, and in the length of time we’ve been in business. Our word of mouth referral business is our best advertising. Our mission at Northlite Glass & Mirror is to be unrivaled in the glass industry when it comes to customer service, experience, knowledge, integrity and workmanship. After having learned the custom glass trade in Massachusetts, Fred Oven founded Northlite Glass & Mirror in 1978. After serving the community for 28 years at its original downtown Derry NH location, we moved to a new, larger, state of the art facility, staying within the Derry community. 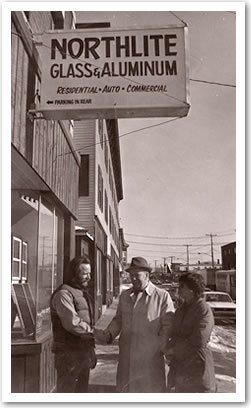 Since 1978 we have been a part of the greater Derry, NH community. 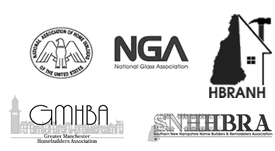 Over those years we’ve enjoyed being a part of the local Chamber of Commerce, regional building associations and national glass associations. We support some charities as well. We designed and installed a display holding over 70 years of camera development history in the foyer of their boardroom. We provided bent glass for the kiosks in the main lobby. We did the historic restoration of art glass in the windows and doors. We fabricated and installed the ticket booth pass thru windows. We provided the glass enclosures for display cases of memorabilia at the Boston Red Sox museum.